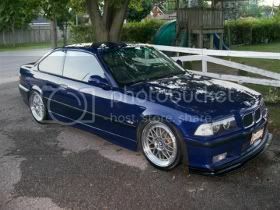 Thinking of selling my project car since i've decided to keep the e36. Its 5 speed, has 248km, leather seats, power windows, sunroof, brand new winter tires, and everything on the car is stock and has never been painted. Car is very solid with almost no rust. Here are some quick pictures taken with a BB, better pictures to come soon. Make me a reasonable offer and i might consider selling it, otherwise i will just put the build on hold for a little while. Any questions pm me. Non sport seats and bottlecaps. This car isn't stock, it's been stripped of some if its "is" parts. its still stock man. considering no aftermarket parts are put on. No Sir it is not stock. Stock means original. Car is worth way more than a grand, but without posting an asking price your asking for all this bantering. Plus you should have disclosed in the OP that the "is" seats are not included. this fourm has few rules, one is to post a price, and for others not to comment personal feelings in sale threads that may take away from the seller. ok Richie, lets end the bantering Sarcasm...that is true, but as you said not everyone abides by them at all times. And rules are meant to bend and sometimes time to time be broken whether intentionally or not. 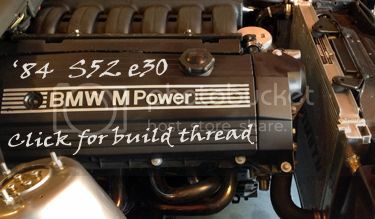 It's a feeler for a reason, as i mentioned to you in the PM, i am not sure what this car is worth, make me an offer on what you think the car is worth without those IS components or let me know what i should be asking for it since your the expert on e30's richie s999. And i was thinking 4500 certified & etested or 4 as is. Am i asking too much? But I'm pretty cheap so what do I know. For a grand i will keep it then Mods you can lock this up.